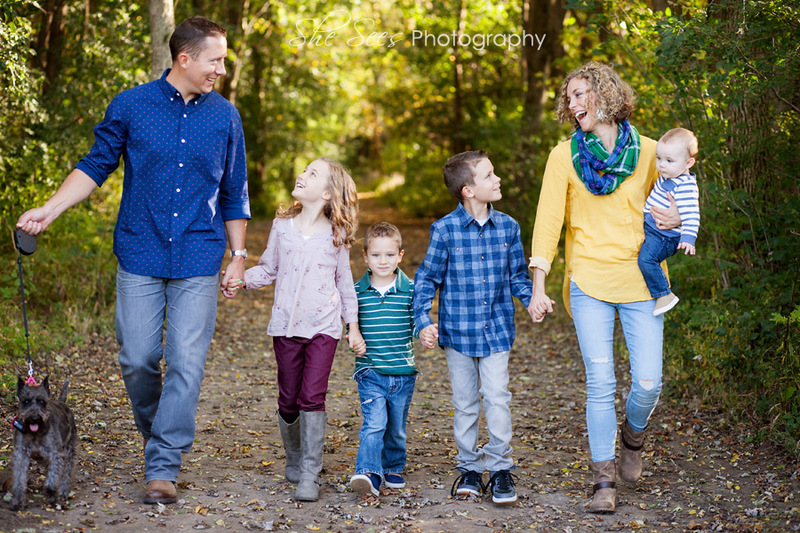 Sugar Grove Family Portraits with one GORGEOUS family! I really love meeting local families that live just down the road. Sugar Grove has been our home for about 4 years now and we LOVE it here. It’s super cozy and quaint. The community and people are amazing! 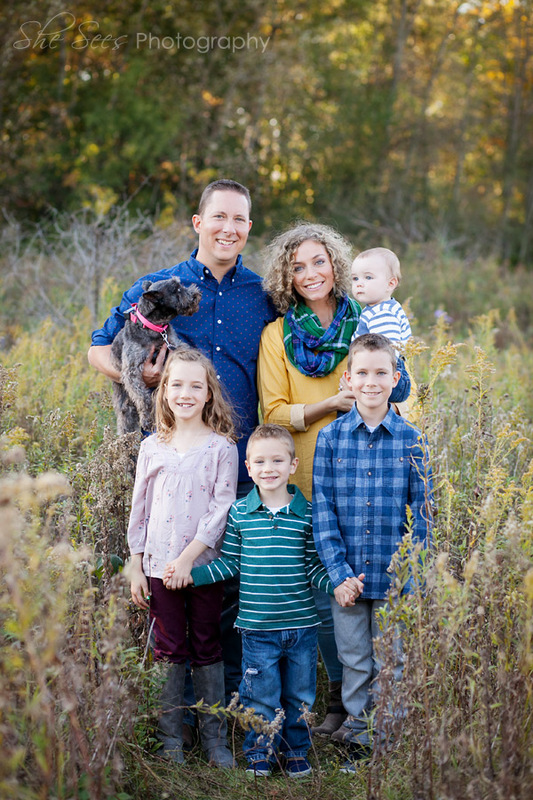 SO while we love Sugar Grove, I met this family over at Leroy Oaks in St. Charles. And I was reminded of how I ADORE this location! It’s simple, organic, rustic and natural. 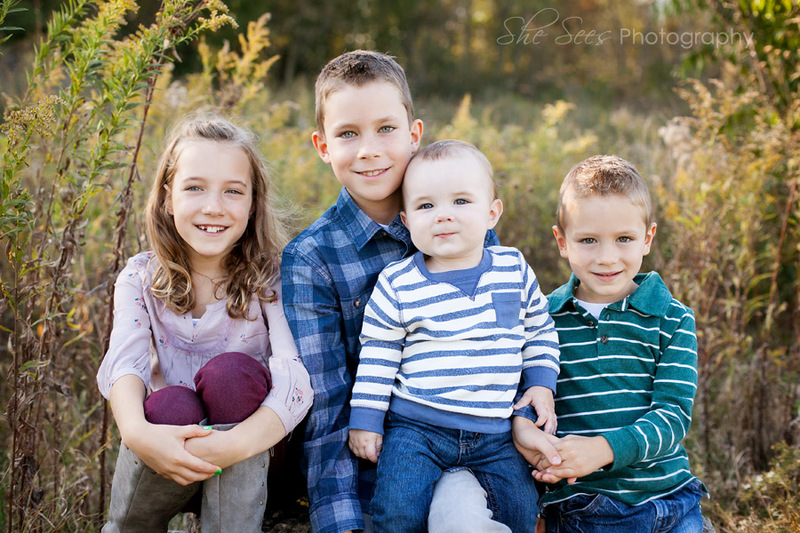 There are a variety of backdrops here and they’re all easy to access for the little ones of the family. And dogs are allowed, so furry friends can be a part of your family portrait too! And when this family showed up, dressed in beautiful shades of blue, green, maroon and yellow… I was so excited! It just shows how far we’ve come from the khaki and white top days (not that there’s anything wrong with that). And there beautiful faces, bright eyes and mom’s curly hair! Seriously, one gorgeous family inside and out. Super sweet, down to earth and easy to work with.